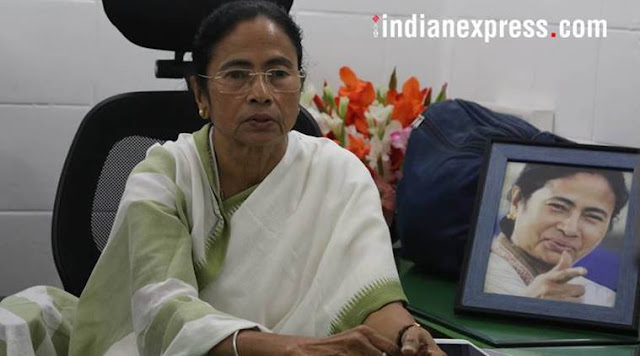 The West Bengal government has issued transfer orders to two government employees for allegedly indulging in “anti-government activities” and “trying to stir up unrest”. This comes after the district administration wrote to the state school education department, accusing the teachers of “trying to stir up unrest” in the Hills, and requested their transfer to Presidency, Midnapore or Burdwan divisions. The Indian Express is in possession of the letter from the district administration to principal secretary, School Education Department. Political parties in the Hills, including the Gorkha National Liberation Front (GNLF), have slammed the move. “In the recent case, the teachers have been found to stir up unrest by making false promises to locals in the name of forest rights. In one case, a teacher was also found spreading misinformation through social media,” she added. “In the past one year, six or seven such people, comprising teachers and nurses, have been transferred for acts unbecoming of a government employee,” she said. Meanwhile, one of the teachers who faces action plans to knock on the court’s door. “I received a transfer letter on Saturday from the state school education department. I will have to go to court. I was involved in a democratic agitation for rights of forest land. I spoke with the local residents and we demanded that Forest Rights Act 2006 be properly implemented in Darjeeling. I think that is why I am being transferred. Education is under Gorkhaland Territorial Administration (GTA), but the letter has been sent by the school education department,” Lila Kumar Gurung told The Indian Express. Gurung, who is also general secretary of Himalayan Forest Villagers Association, has been transferred from Kumai High School in Kalimpong to Rimbik High School, near the Nepal border. GNLF spokesperson Neeraj Zimba criticised the move and targeted GTA chief Binay Tamang. “The transfer order of Sri Lila Kumar Gurung is part of Binay Tamang’s political dealings as openly declared by him in public meetings. For the first time in the history of Gorkha politics, we have seen a nominated stooge openly declare from a public platform that he will politically victimise all those who do not support him. All should protest against this,” Zimba said in a statement on social media. Despite repeated calls, Tamang could not be reached.